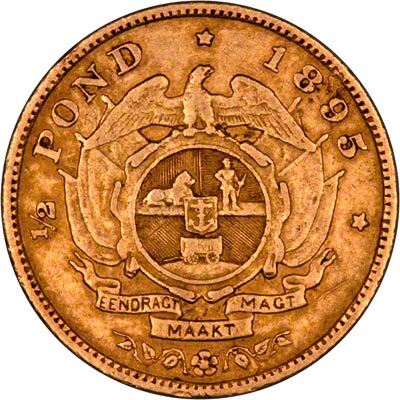 In addition to Krugerrands in four different sizes, we often have in stock earlier South African gold coins, denominated in ponds (pounds) and rands. In the tables below, we give specifications for most of them, followed by coins offered for sale from our current stocks. In 1960, South Africa became a republic and abandoned the British derived currency of Pounds, Shillings and Pence in favour of a decimal currency based on the Rand (valued at 10 old shillings). 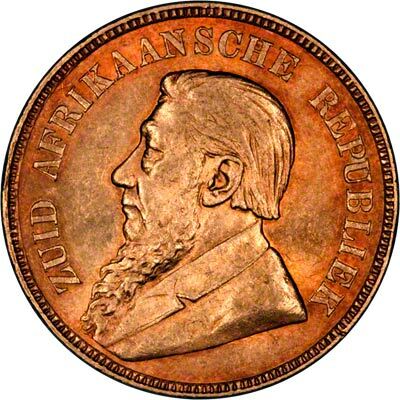 However, even before the South Africa had become a unified British colony, the independent Boer Republics used a �sd system after the British model, no doubt due to the interflow of trade between the Boer Republics of the Transvaal and the Orange Free State and the British Cape Colony. 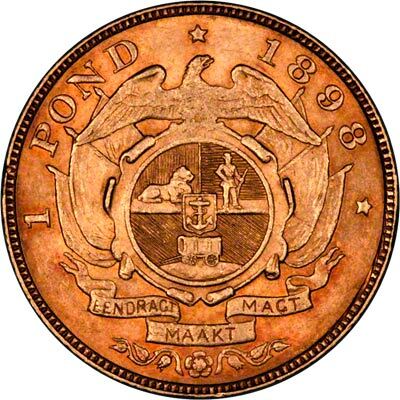 The Afrikaners made some slight alterations to the terminology with some of the coins however, as they did not want their denominations to be associated with British royalty, hence the Half-Crown was referred to simply as 'Two Shillings and Sixpence' and the Sovereign and Half-Sovereign equivalent were referred to as 'Pond' (Pound) and its half equivalent. The Kruger Ponds of the Boer Republics, shown here, were struck between 1892 and 1900. 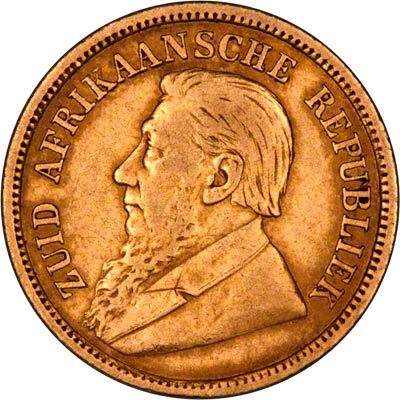 They are quite common due to the large concentrations of gold present in South Africa, which later led to the creation of a Branch of the Royal Mint being established there in 1923 in the city of Pretoria. 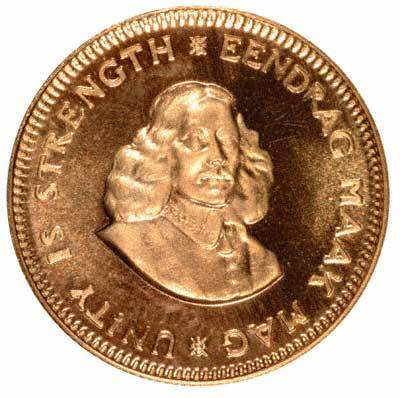 Despite this, they are quite desirable and their total mintage is much less than those of British sovereigns. Many of these Ponds were brought back to the UK by British soldiers following the Boer War as souvenirs. We typically have Boer Republic Kruger Ponds and Half-Ponds in stock. 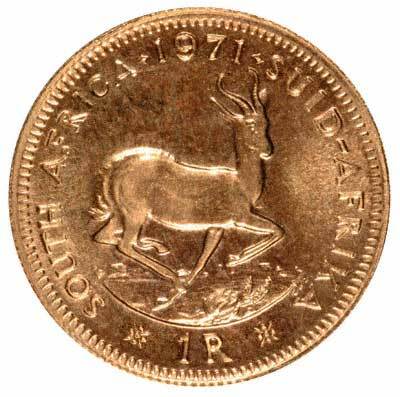 Technical specifications of the most frequently encountered South African gold coins. *Prices and availability correct as of June 2011. Proof sets of 1 rand and 2 rand coins.